Seeing your name in print might be nice, but it’s not a trackable metric. When it comes to real marketing, there are specific numbers you should be following and working to improve. So what’s your strategy? 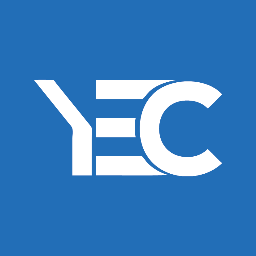 To find out what others were tracking to qualify success, we asked 12 entrepreneurs from YEC what marketing metrics they really cared about, and why. Here’s what they said. Many companies measure a marketing campaign's success off of leads. Our most successful campaigns produce a low number of leads, but a high percentage of qualified leads. We have a team member who goes through leads that comes through our website and determines if it is high quality or not. She then reaches out to those people individually instead of just leaving them on an email drip campaign. Things like social shares might indicate engagement, but study after study shows that people more often than not share something without even reading it. In my experience, the only reliable indicator of quality engagement is comments. Someone taking the time to comment will likely have read the whole thing and also felt strongly about it. That reaction is exactly what I consider success. It's been hard for us to truly measure social interaction, but one metric we like seeing is when our content is shared or retweeted to the individual's network. It's creating an organic brand ambassador that trusts your content enough to share it. How much does it cost to acquire a customer? Add up all your marketing expenses -- including salaries and overhead -- and divide by how many new customers were acquired in a given time period. For example, if you spent $10,000 marketing dollars in a month and added 10 customers, then your customer acquisition cost is $1,000. From here, you'll be able to tell how effective your marketing really is. The only marketing metric that matters to us is our Net Promoter Score (NPS). It's a catch-all metric that lets you know if your customers would recommend your brand to their friends and family. If that number is high -- or at least trending upwards -- your brand is improving. NPS is indicative of successful word of mouth and is a multiplier for all of your marketing efforts. In addition to traffic on our website, we like to see that people are spending a lot of time on our site and looking at a variety of pages, reading content, etc. We feel people are seeing value and finding what they're looking for if they spending time reading our content and going to multiple pages. In our SaaS (software as a service) business, we really care about the Monthly and Annual recurring revenue rate. Being in a recurring model, it's important to continue to grow this metric each and every month as it is foundational to sustaining our entire business. The most important thing to monitor in business is your conversion rate. You have customers calling in, and every call you get should be worked and lead to translate into a conversion. If you're not converting leads, you're wasting your time. I'd say it's the most important aspect of my business for both franchise development and for potential clients. Return on Investment (ROI) is the biggest marketing metric we look for because it ultimately determines which tactics work and which don't. In that way, we know how much to allocate to our marketing budget and in which marketing plays to invest those funds. I like to look at the bounce rate on my site. In short, a bounce happens when someone sees your home page and just leaves. If a high percentage of people are doing this on my site, I try to change up my homepage design. Sometimes, I’ll add a new picture with a link to an article or use leading headlines to get a person clicking around. – Kumar Arora, Aroridex, Ltd. The ratio of your customer lifetime value (CLV) to cost of customer acquisition (CAC) is a very important metric, as it gives you a sense of your business' sustainability. You should be focused on finding ways to increase the ratio by increasing your CLV and/or decreasing your CAC. There are many metrics we keep an eye on -- number of website visitors, time spent on our page, number of new email subscribers, email open and click rates, number of social shares, etc. But there's only one that truly counts and is used to assess how our marketing is doing: how many people have signed up for a free trial of our sales software.